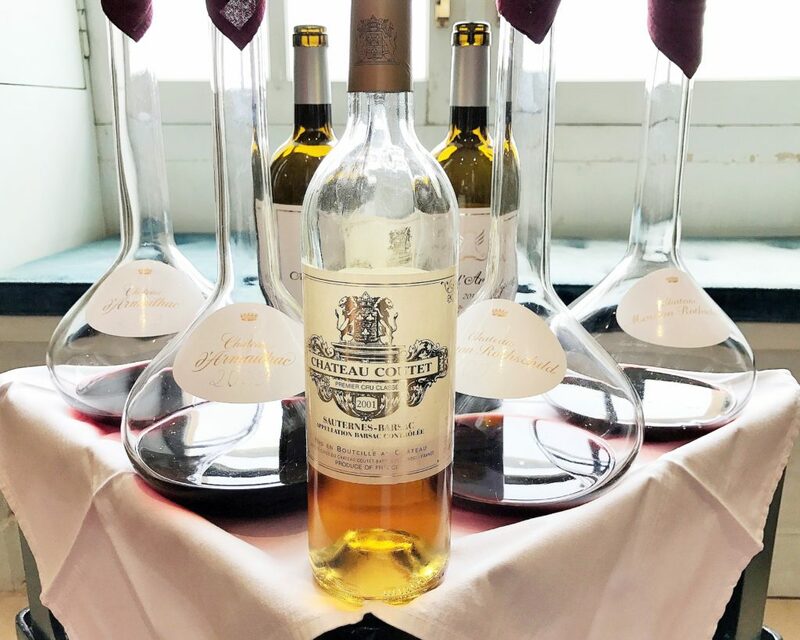 It appeared nothing could possibly be out of sorts upon arriving at the beautifully set table in the private dining room of Château Mouton Rothschild. 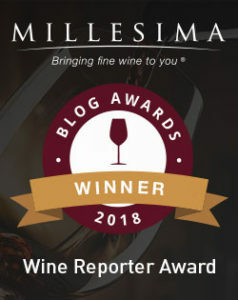 Me and my fellow Millésima blog award winners were in for a very special afternoon, as we were about to enjoy lunch with not one, but three members of the prominent Rothschild family: Camille Sereys de Rothschild, Philippe Sereys de Rothschild and Julien de Beaumarchais de Rothschild. Feeling humbled and frankly a bit surprised, I mentioned to Philippe that I was honored to sit with him. His fantastic response set the tone for the remainder of our afternoon, when he jokingly quipped: “Let me know if you feel the same way after lunch.” As one of France’s noblest families, the Rothschilds possessed an unexpected humility and sense of humor, somehow managing to make us feel right at home at their table. 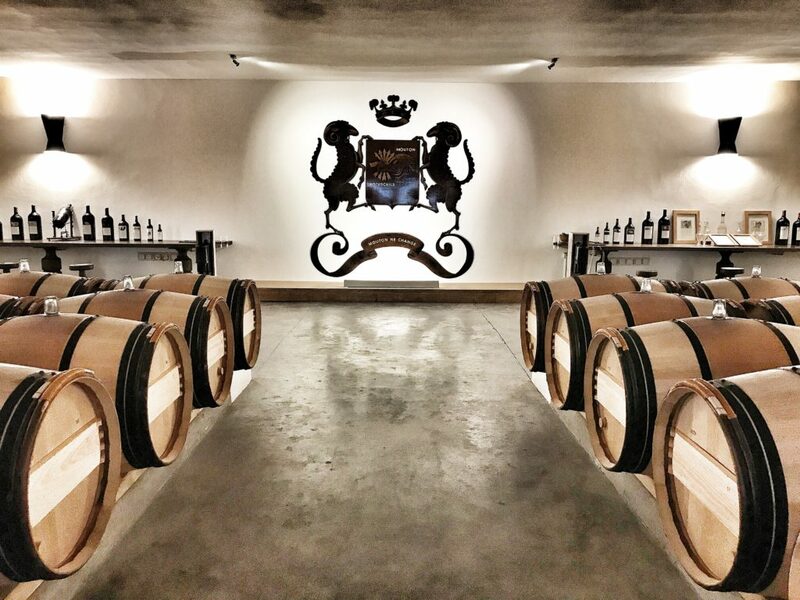 This entry was posted in Bordeaux Wines - Reviewed, Winery Visits and tagged Chateau Mouton Rothschild Winery, Lunch at Chateau Mouton Rothschild, Mouton 1924 Label, Visit Mouton Rothschild, Visiting Mouton Rothschild on June 12, 2018 by The Fermented Fruit.